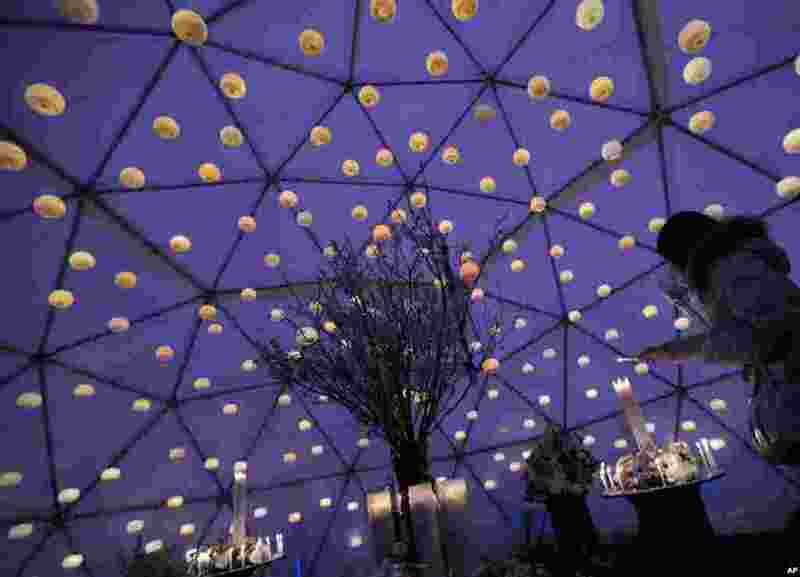 1 A woman lights candles during an event for the victims of the March 11, 2011 earthquake and tsunami in Tokyo. Japan marked the second anniversary of the devastating earthquake and tsunami that left nearly 19,000 people dead or missing. 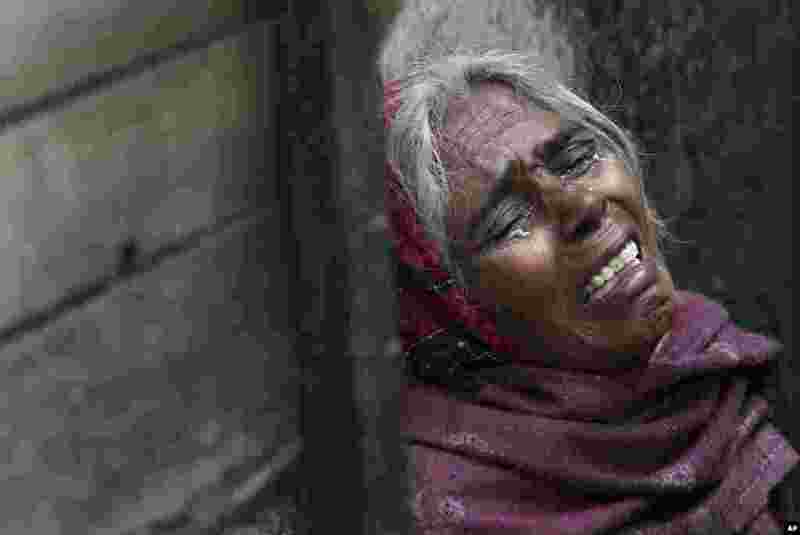 2 The mother of Ram Singh, the man accused of driving the bus on which a 23-year-old student was gang raped in December 2012, cries as she speaks to journalists outside the family's home in New Delhi. Police confirmed that Singh, one of the men on trial for his alleged involvement in the attack, committed suicide in an Indian jail Monday, but his lawyer and family allege he was killed. 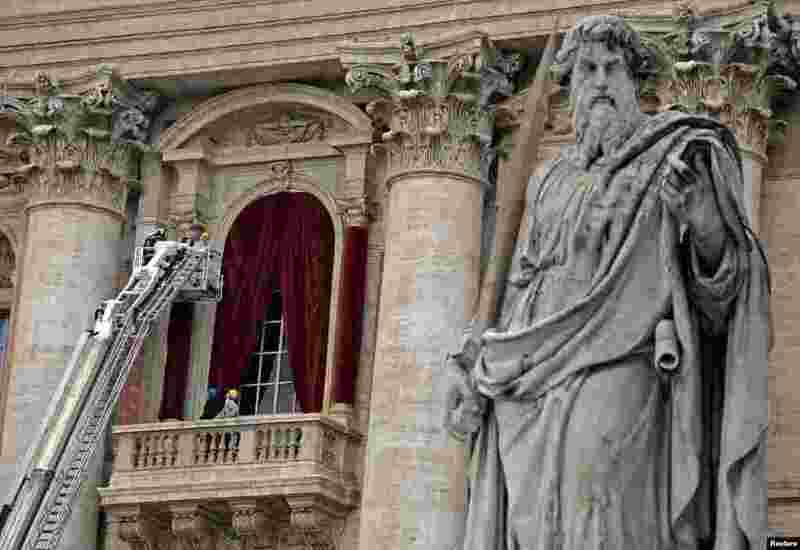 3 Workers put up a red curtain on the central balcony, called the Loggia of the Blessings, of Saint Peter's Basilica at the Vatican. Roman Catholic Cardinals begin a conclave Tuesday to elect the Church's 266th pontiff. After being elected in the conclave, the new pope will appear on the balcony. 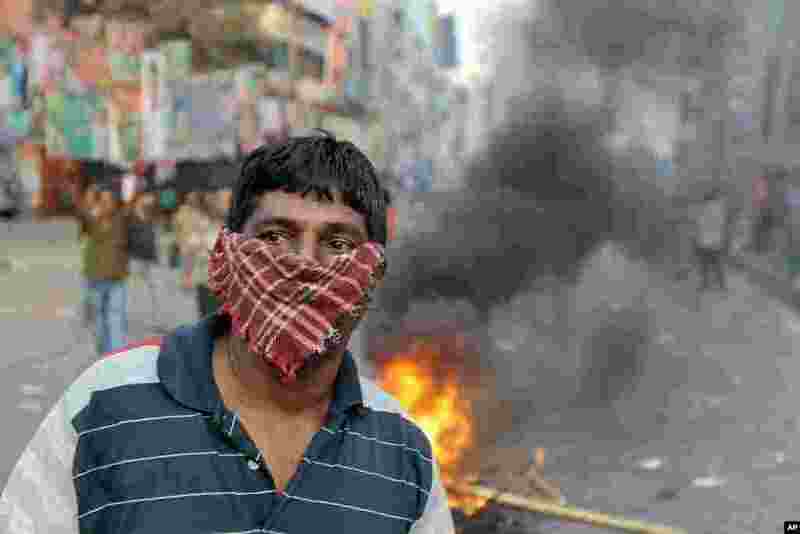 4 A Bangladeshi opposition activist looks on after a street vendor's cart is burned during a protest and clash with police in Dhaka. The protest was called by an alliance of 18 parties to denounce trials of several opposition politicians accused of mass killings and atrocities during Bangladesh's 1971 independence war against Pakistan.